Pigeons are synonymous with Albert Hall Museum in Jaipur. Capturing them in flight for Wordless Wednesday. Haunting and beautiful! Fantastic capture. Quite a nice shot ! Great shot of the pigeon in flight, Arv! Great capture Arv, I like the B&W for this image. Thanks, Pushpendra. 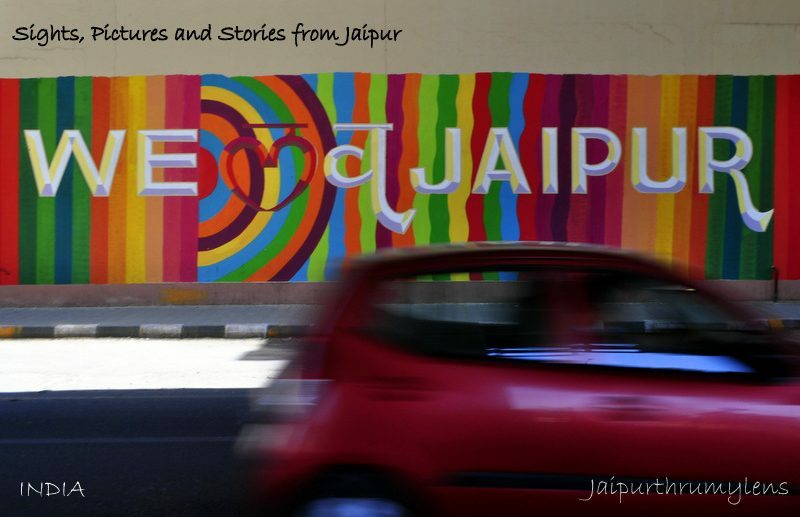 Have you ever been Jaipur? Fantastic picture! Full of life. I love monochrome shots! Do not know why such connect with them but i just do…may be it gives me a raw feeling! Try to capture such shots using fast shutter speed some where around 1/1200th of a second. Do give it a try next time. Keerthi, I guess some pictures definitely look better in monochrome. Monochrome sometimes puts life or intensity in pictures. I know fast shutter will freeze this frame better but the creative aspect of slow Mo will be lost. But I’ll shoot two next time slow and fast shutter! Thanks for the lovely inputs, Keerthi. Yeah I understood the reason behind the low shutter speed you choose for this click as your focus was to capture the building behind. Well there’s​ was no specific reason for clicking this picture but out here​I wanted to bring out an important element. This building is surrounded by pigeons constantly in movement. That’s what I wanted to bring out. Pigeons are soul of this building. I guess photography is a creative aspect and we all can have different perspective on same scenario. That’s the beauty of it… what do you think? Certainly photography is something where you get many possible elements to display that hidden aspect or emotion which conveys in a photo which do not need words to describe it! A flock of flying pigeons is something I’ve always associated with Jaipur, and I think adds charm to the already beautiful place. Loved your concept of Wordless Wednesday, by the way! By what name should I address you? Oh is it? How do I participate? Thank you Arv! This is Anjana here. Yes do send me the link. I’ll participate too. Are you hosting this? I’m not hosting this, Anajana. Actually, there are many bloggers posting for the Wordless Wednesday. There many Blogspot bloggers posting for it as well and link it up here- wordlesswednesday.blogspot.com/. A few of WordPress bloggers are also hosting links. One of them is Esha. she writes on theskygirlcom. Alright. Thank you so much!